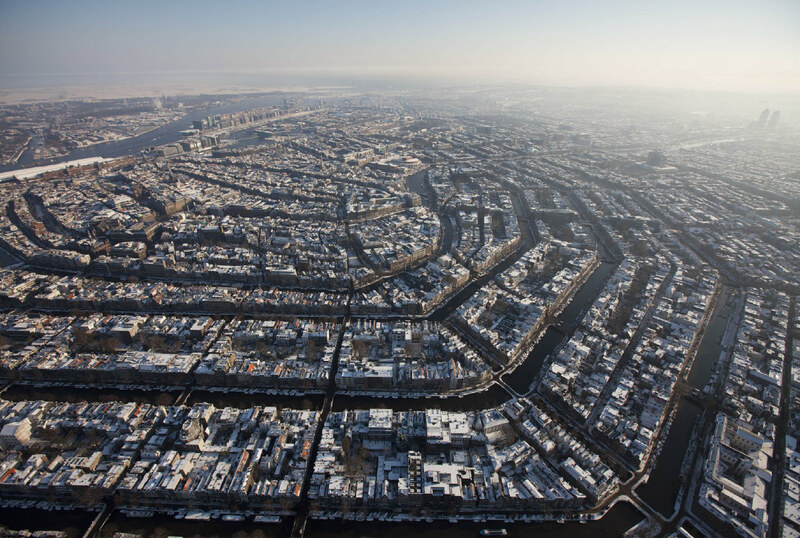 Here's a great photo of Amsterdam. I didn't really enjoy Amsterdam when we were there a couple of years ago, but I did like Holland. Looks good from the air, though. You know I love lists. Here's a good one. I was telling Middle that I want this juicer, Middle was telling me that his friend S has it and they are afraid of it. It's too complicated for me to explain but they fear bodily injury. Someday we will have to rip out our newish bathroom. It is infuriating, believe me, but the tile was installed incorrectly and we will, eventually have a wet ceiling. We may right now. That's not the point. The point is I'm going the cheap route next time. Oh, Fog Linen, I love you/I hate you. Oh, The Meat House, where I purchased an expensive gift card for my Ma, which is now closed for "renovations" but which actually seems to be part of a larger issue as the customer service number for the main company is disconnected...oh, The Meat House, you doth pith me off. Nice runner, eh? I mean, I am not particularly a Nate Berkus fan or anything, but I like it. You can file that under future home improvements as well. The carpet in my room and on the stairs is shot. It's Asian week in our kitchen. We challenged K to make us food from China/Korea/Japan and he has delighted us each evening. Miso soup! From actual miso - not instant. We keep the utensils handy. Look! I'm keeping some plants alive! Barely! I finally made Oldest's favorite Christmas cookies. - Which reminds me...even though I am not a sweet lover...the holiday season is over and I seem to have acquired some poundage I'm not comfortable with. I've made a decision to be more serious about my walk to and from the office which is about .8 of a mile each way. Sometimes I don't walk if it's icy or if I feel lazy and that has to stop. The other problem with that walk, the big problem with that walk is my shoes. I wear my work shoes and that is a mistake. I currently have about four pairs that need new heels. I am wrecking my shoes. What I should be doing is wearing sneakers. And, so, I am on the hunt for some black on black Nikes as the offerings above, which the internet is awash with, will not entice me to take a single step. You can't believe I'm talking about a form of exercise, can you? I have a wedding to attend in May and wish to be more comfortable on the beach this summer. Blogging as vehicle of accountability. Here I am playing the matching game I created for my tiny cousin! It was a great success. And here is someone modeling my hair cut and color. I feel obligated to mention, as two people asked me about it this week, that I do not color my hair. This IS the color of my hair. I colored my hair for 30 years and am done now. Okay? I did this with our table. People are adjusting. It's a free dining room renovation! 2014 feels so full of promise. Sort of. I passed along that wine chart to one of my BFFs who will love it. Those linen sheath/sacks. Lovely in theory, but I suspect the fitting would be tricky. Your table is so lovely, as is your hair. It always happens to me: I start reading, I want to comment every single link but then the next thing is oooooh and further on there's ahhhhhh and by the end ... BAM, you hit me with something that makes me forget everything I just read or seen or thought. I LOVE that cut, it's SPOT ON with our (natural) colour. but the are really worth it. If you go to the NB store they will fit you and they are american made. I am/was a die hard Nike/shox fan. Absolutely love what you give, such a treat! I say gif with a hard g. Never heard anyone say jif unless they were referring to peanut butter. Had a low-end version of that $150 juicer. Worked great. Scientists don't know how a bicycle works? Geez, it's not rocket science! I haven't colored my hair in over 2 years but it is not white. It is streaks of light grey mixed with dark steel grey. When I went to a doctor's office recently, the nurses practically applauded me for letting it go long and grey. One of the nurses is doing the same thing. I am rather jealous of that beautiful silver hair. My friends and I have been having a few talks about nice grey and bad grey. Shiny sleek silver is good grey. Bad grey is pretty much what is happening on our own heads, sadly. Wiry. First time in my life I'm thinking about dyeing and wondering whether I can be bothered. Can you tell me more about the boots you're wearing in the photo with your tiny cousin? They appear to be exactly what I'm looking for. Where did you get them? The boots are from Zara - and though they might be gone now, Zara seems to always have great inexpensive boots online. BB - that juicer is ridiculous. The runner is very close to chevron and I totally appreciate the need for shoes that don't look like a technicolour vomit. Blogging as a vehicle for accountability. Love it.